Regeneration and the creation of local jobs are the focal points of Westfield UK's community efforts having delivered three major retail regeneration projects in Derby and its two London centres in Shepherd's Bush and Stratford (the first piece of the London 2012 legacy). Having invested £3.5bn since entering the UK, these projects have created 25,000 new jobs in the UK and over 30,000 construction jobs. A further £2.5bn will be invested and 13,000 more jobs created as Westfield continues to develop in the UK. Westfield London and Westfield Stratford City have pioneered the regeneration of two key areas of London. In the West, The White City Opportunity Area is one of the most exciting regeneration opportunities with potential to deliver huge benefits for the W12 area and beyond. 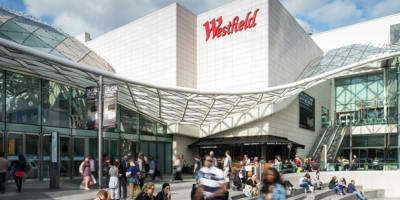 Westfield London is seen as a catalyst for the future development and regeneration of the wider White City Opportunity Area, including Shepherd's Bush town centre, and the cornerstone for future investment which is anticipated to be in excess of £1 billion over the next 10 years. In the East, Westfield Stratford City was the first piece of the Olympic legacy and will continue to play an important regeneration role as the area continues to be transformed with the reopening of the Queen Elizabeth Olympic Park and further residential and office investments. Westfield London helped to create 12,000 jobs when it opened in 2008, both as a direct employer and by attracting world-class retailers. Nine years on, our retail and residential expansion will bring about approximately a further 6,700 jobs. The Work Zone partnership was formed between Westfield London, the London Borough of Hammersmith & Fulham, JobCentre Plus, Ealing, Hammersmith & West London College and Tendis. It was set up to assist retailers and contractors to recruit locally, and to alert residents and jobseekers to available jobs and to assist jobseekers to gain access to the right employment and skills training for jobs at Westfield London. It is based onsite at Westfield London in the Shepherd's Bush Library. Looking for a job at Westfield London W12? Find all current job vacancies here. Zero waste to landfill – the large majority is recycled and anything that can’t be recycled goes to energy recovery. This includes all of the waste from our retailers. Low energy lighting and other innovative technologies to reduce energy use and carbon emissions. Waterless urinals – our customer urinals use a waterless system to save water. Onsite green roofs, living wall and nature reserve to encourage biodiversity. ISO14001 accreditation – awarded in 2015 in recognition of our effective environmental management system and commitment to continuous improvement. Our Westfield Stratford City and Westfield London centres achieved BREEAM Excellent and Very Good rating in recognition of our efforts to improve, innovate and make effective use of resources. We have been certified to ISO 14001 Environmental Management Systems since 2013, as we continuously manage the immediate and long term environmental impacts of Westfield’s products, services and processes. In 2016, Westfield received the Carbon Trust Triple Award in recognition of our work on Climate Change. We successfully reduced our carbon emission year on year. Our UK and European Developments will operate to BREEAM Standards. We employ an integrated approach to design, construction, management and evaluation of environmental, social and economic impacts across the full life cycle of our developments.